There is a lot going on with GALA and all over this vibrant state. So much to see and do, there are not enough days in these few months to see everything. I guess you sometimes have to pick and choose which activities you want to attend, and we hope you will put GALA on your busy calendar. We would like to welcome Susan Ellis, who has joined GALA's Board of Directors. 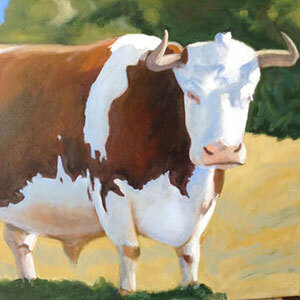 Susan is a known artist from Ashburnham. Susan has toured around the world being educated in the arts. We feel she will be a great asset to us and share her knowledge and ideas to help us reach our goals. Don't forget our Membership Pot Luck Meeting scheduled for Sunday October 30th at 2 PM. This is an important meeting! You will see all the progress we have made on the Arts Gallery and have great food and conversation. Please call Louise at 978-874-2660 as soon as you can and let her know if you are attending and what you will be bringing for food. The sooner the better, to help her organize the food. We are having another Open Poetry on Sunday, October 16th, save this date. We are having a Toy Workshop for Children, on Sunday, October 16th. Children will get a tour of the Antique toys in the museum, and then they will make and decorate their own Drum. We will have musicians that will work with the children so they can play along with their new drums. Ages 8 - 12 are welcome to attend. Critique sessions have started. Coffeehouse will start up in October and will be renamed as "Songwriter's Café". GALA is having an ONLINE AUCTION! We need your help in donating items for this auction. 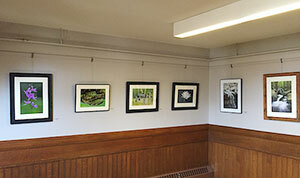 We are raising funds to purchase the Track Lighting System for the Arts Gallery. We need lighting in order to start having art exhibits, workshops and music events. We will take anything you can give us, paintings, prints, jewelry, furniture, gift certificates, tickets, reach out to your local businesses. Call 978-407-1419 to make arrangements to drop off your items. First Annual Meeting in Our New Home! Be sure to bring food for dinner! 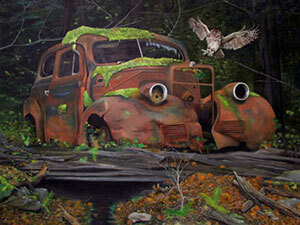 We will first meet in our Arts Gallery at 135 Front St. for a tour. Parking is available at the museum across the street or on Lincoln Ave. Meeting and dinner will be held in the Winchendon History & Culture Museum at 151 Front St. This is our first Annual Membership Meeting in our new home. Please come and see all the great plans and progress on our new gallery/activity center. Please bring food and come enjoy this fall day with your friends, great conversation and music! We are always looking for new ideas to make this a special place. Hope to see you all there! Please call or email Louise to tell her what food you will be bringing. Sunday, October 16th at 2 pm. This is a FREE Workshop for Ages 8-12. First 40 to arrive will be guaranteed a drum. Children must be accompanied by a parent. Please join us for a fun tour of the antique toys in the Winchendon History & Culture's Toy Museum, learn the history of toy making in Toy Town. You will then make and decorate your own toy drum and play along with Walden Whitham and friends. Adults may listen to music provided by Walden Whitham during the workshop. Walden has been a music educator and performer for over 30 years. His tastes run from classical to Cajun. You may have heard him sing and play on sax, flute, clarinet, whistle and rub board with the roots bands Tattoo and Folksoul. He adds the Celtic harp to the folk master Wendy Kieth and her Alleged Band. He also accompanies his singing with harp and guitar for solo performances for both adults and children which may include stories from a variety of cultures. Sunday, October 16, 2:00 - 4:00 PM. 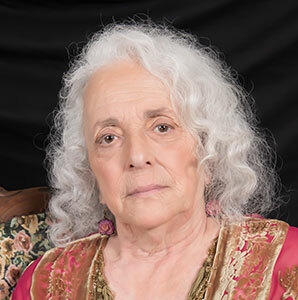 Our featured poet, Ann Marie Meltzer of Greenfield, will share works from her evocative book of poems titled " Coming of Age." An open mic will follow and we invite you to share your own words, a favorite poem by another, or simply sit back and enjoy. A sign-up sheet will be available for anyone wishing to participate in the open mic. Time allotted to each poet will be approximately 5 minutes and will depend on how many sign up to read. Location will be the elegant and historical Murdock-Whitney House, 151 Front Street, Winchendon, Massachusetts. Please contact Paula J. Botch at 978-575-0863 (home) or email cohen5kids@yahoo.com for more information. Did you spend the summer creating new artwork? Get some feedback on and insight into what you've created. Please bring two pieces of your artwork, in any medium, finished or in progress, to present to the group. Whether you are a novice or a master, it's always a fascinating conversation when creative minds come together to talk about color, composition, and technique. Artist critiques are held on the second Saturday of each month. 135 Front Street, Winchendon, MA. GALA Needs Item Donations for its Online Auction Fundraiser! Raise Funds for Our Track Lighting System! GALA will hold an ONLINE AUCTION to raise money for the purchase of a track lighting system which is needed in order to begin holding art exhibits and workshops in our Arts Gallery. So let's get this done! We need donated items for this auction such as paintings, prints, sculpture, crafts, jewelry, gift certificates, tickets, services, music CDs, tools, toys, furniture, camping supplies...pretty much anything you can give us. Reach out to your local businesses, we need your help! You may drop these items off on Sunday, Oct. 30, 2016, 2-5 pm (during the Annual Member Meeting) at 151 Front Street in Winchendon ( Directions ) OR call 978-407-1419 to make other arrangements. Please fill out this form for each item donated and attach it to the item. The auction will begin as soon as we get enough items. We are working on new plans to help our musicians. We have produced a survey to help us identify what you are looking for, so we are better able to support you as an artist. If you are a musician, please take a few minutes and fill out our survey. Click on this link that will direct you to the survey: https://form.jotform.com/galaform/musician-survey . Joe Smith's scratchboard, Tully Brook, has been juried into the Copley on the Cape exhibit to be held September 27 to October 17 at the Cultural Center of Cape Cod, 307 Old Main St., South Yarmouth, MA. The opening reception will be held Sunday, Oct 1, from 6 to 8 pm. Joe will be an exhibiting guest of Doreen LaScola at the School Street Studio's 3rd Annual Open Studio Event, Friday, October 14, 6-9 pm at the School Street Art Studios, 205 School Street, Gardner, MA 01440. An exhibit of my Joe's scratchboard work will be held at the Amherst, MA Town Hall, November 3 through December 30, 2016. The town hall is at 4 Boltwood Ave., Amherst, MA 01002. The hall is open during regular working hours (M-F 8-4:30) and 5-8 pm during the Amherst Art Walks on Thursday, Nov. 3 and Thursday, December 1. An artist reception will be held on Thursday, November 3 from 5 to 8 pm. Inspired by reading the Reminiscences of Company F of Gardner, who left behind incredible accounts of their time served during the Spanish American War I, writer and historian Carla Charter is writing a book recording firsthand accounts of veterans from the Korean War. Any veterans who would like to share their story can contact her at cjfreelancewriter@earthlink.net. William C. Turner will be the featured artist at Jaffrey Civic Center, October 14 through November 12. A reception, free and open to the public, will be held on Friday, Oct. 14 from 5-7 p.m. Bill will also be exhibiting in a group show at Monadnock Hospital, Peterborough, NH from September 22 through December 6. Opening reception is free and open to the public on Thursday, Sept. 22nd from 5-7 p.m.
Len Haug's paper mosaic " The Front Yard Matriarch" was juried into the Concord Art Center for Visual Arts' 17th Annual Frances N. Roddy Competition. The work will be on display until October 15 at the Center at 37 Lexington Road. Gallery Hours are Tuesday through Saturday, 10-4:30 and Sundays noon to 4PM. The juror was Katherine French, Gallery Director of Catamount Arts. The Monadnock Art/Friends of the Dublin Colony will begin its 21st Art Tour with a Preview Exhibition and Opening Reception on Monday, October 3rd from 5-7 pm at the Jaffrey Civic Center's second floor Cunningham Gallery. This opening is free and open to the public and the exhibit will run through Monday, October 10, from 10 am -5 pm. 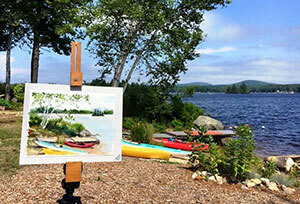 The Monadnock Art Tour/Friends of Dublin Art Colony will be held on October 8th, 9th and 10th. The Tour travels through the towns surrounding the beloved Mount Monadnock: Chesham, Dublin, Hancock, Harrisville, Jaffrey, Marlborough, Peterborough, and Sharon. 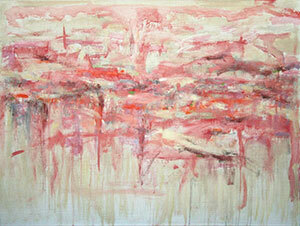 A remarkable range and diversity of the visual arts is represented through the work of the artists. Visitors tour the workplaces of painters and printmakers, potters and jewelers, sculptors, fiber artists, photographers, woodworkers, glass shapers, and more. Many artists offer work for sale, often specially priced for the Tour. For a look at a sampling of their work, please visit the Artists pages of this site at www.monadnockart.org. Studios are open from 10 a.m. to 5 p.m. each day. Free self-guided tour maps are available at many locations throughout the region, including the Civic Center. During the Tour weekend, studio locations will be marked with distinctive black and white signs. Information and an online gallery of some of the participating artists' work are also available at the organization's website, www.monadnockart.org. The Jaffrey Civic Center is located at 40 Main Street, Jaffrey, New Hampshire, next to Library, parking in rear. Hours are Monday through Friday, 10 am- 12 noon, 1 pm to 5 pm and Sat 10-2. Admission is always free. For more information about us, call 603-532-6527, e-mail us at info@jaffreyciviccenter.com. Find our website, www.jaffreyciviccenter.com, or "Like" us on Facebook. 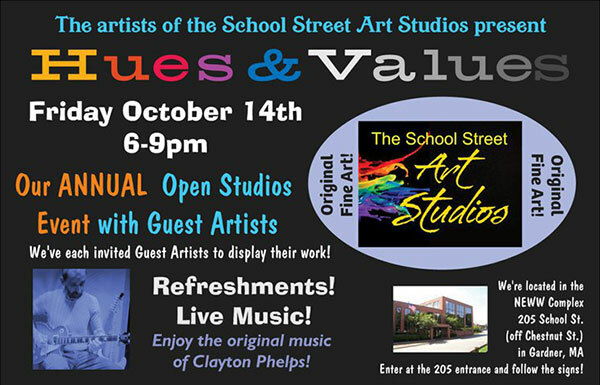 "Hues & Values" Open Studio Event at the School Street Art Studios, Friday October 14th, 2016, 6-9 pm, 205 School Street in Gardner, MA. 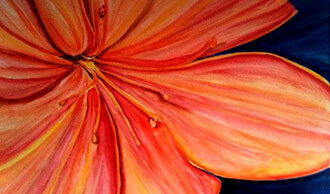 Twenty-two studio artists and guest artists will show a variety of work and mediums. Live music by Clayton Phelps! Refreshments and FREE admission! This is a great opportunity to meet the artists, speak to them about their process and purchase unique gifts for the holidays! We're looking forward to seeing you! Civic Center 50th Anniversary Reception to include guest speaker and a chocolate fountain. The Jaffrey Civic Center will host its 50th Anniversary Exhibit to be held in the ground floor Display Cases beginning Friday, Sept. 23 through October 20th. The exhibit will showcase early photographs and other documentation of people, art shows as well as special events and activities which have taken place during the first half century at the Civic Center. A reception will open the exhibit on Friday, Sept. 23 from 5 pm to 7 pm and will include a brief program and guest speaker, Robert D. Putnam, who is the Peter and Isabel Malkin Professor of Public Policy at Harvard University. In addition to teaching, Professor Putnam is a member of the National Academy of Sciences and the British Academy, and past president of the American Political Science Association. He has received numerous scholarly honors and has written fourteen books, translated into more than twenty languages, including Bowling Alone and Making Democracy Work, both among the most cited publications in the social sciences in the last half century. His 2010 book, co-authored with David E. Campbell, American Grace: How Religion Divides and Unites Us, won the American Political Science Association's 2011 Woodrow Wilson award as the best book in political science. His latest book, Our Kids: The American Dream in Crisis, on the growing class gap among American young people, was published in March 2015. The reception will include light fare and for dessert a chocolate fountain from Ava Marie will cap our celebration. Please join us to celebrate our 50th Anniversary. The reception is free and open to the public. The Hollis Arts Society will present its 9th annual Holiday Show November 5-6 in support of developing and promoting local artists. The public event will return to its longtime home, the Lawrence Barn, 28 Depot Rd., Hollis, and the hours will be 9:30 a.m. to 4:00 p.m. both days. Admission is free. Exhibits will include fine art and crafts created by about three dozen local artists. Artwork created in a wide variety of media will be on display-including photography, oil, watercolor, alcohol ink, colored pencil, sculpture, textile, fused glass, and jewelry. The Hollis Arts Society was formed in 2007 as a nonprofit organization to support artists in the northern Massachusetts and southern New Hampshire area. The society hosts a number of exhibits and an annual juried show each year. "Monadnock Farming: Our Heritage" is the fourth triennial exhibit of fine art featuring agriculture-its landscapes, activities, and participants, both human and animal-in the Monadnock Region. The exhibit will be on display from October 14 to November 12, 2016 at the Cunningham Gallery in the Jaffrey Civic Center, Jaffrey, NH. 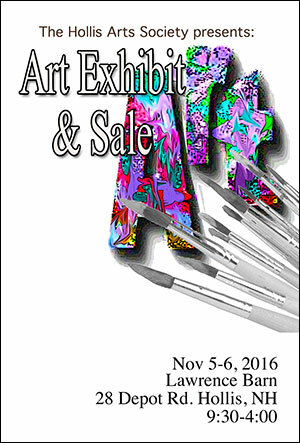 Participating artists include Dave Bulger, Francelia Clark, Mary Iselin, Deb Pero, Chris Reid, Ann Sawyer, and Jeanne Maguire-Thieme. 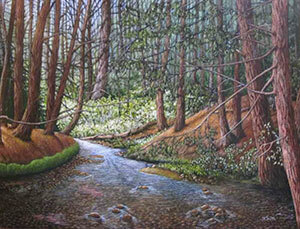 Members work in various mediums, including oil, pastel, watercolor, and mixed media. All are professional artists, and all have a personal voice, but all are inspired by the agricultural activity which surrounds us. "Agriculture is what we paint. Many of us are directly involved with farming. Also, people forget that it is agriculture which keeps open many of our most beloved scenic vistas, and which keeps alive our New Hampshire lifestyle. We are Monadnock area artists, and would paint these paintings anyway, because it is what we do and what we love, but it is wonderful to show our work as a body, all together, before individual pieces 'go out into the world to seek their fortunes.'" The public is invited to help celebrate the exhibit with an Opening Reception Friday, Oct 14, from 5:00-7:00. Please remember that, due to the subject matter, which includes animals, children might enjoy this exhibit more than usual!. The Jaffrey Civic Center is located at 40 Main Street, Jaffrey, New Hampshire, next to the Library, parking in rear. Hours are Monday -Friday from 10 am to 5pm (closed 12-1pm), Sat 10-2. Admission is always free. For more information about us, call 603-532-6527, e-mail us at info@thejaffreyciviccenter.com, visit our website, or "Like" us on Facebook. Join local artists at the opening reception of the Village Art Show on Saturday, October 15, from 6:00 to 8:00pm, at the recently renovated Zeda's Village Grill & Bar, 1 Main Street in Lunenburg, MA. The exhibit will showcase the talents of local artists including: Annie Bouton, Dianna Suskind, Theresa Buck, Thomas W. Bradley, Jan Howland, Miche Milcendeau, David L. Smith, Louise Parmenter Hammerman, Doreen DeScola, Nancy Nelson, John Collins, Cindy Collins, and Colette Shumate Smith. This is the fourth Village Art Show held since its inception in April of this year and every show has been successful. 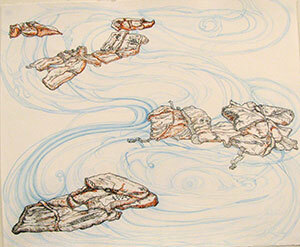 Curated by Iphigenia (Iphie) Burg, the art shows started as a way to bring local artists to the public. This exhibit will feature about 45 pieces of art work, including photography, paintings, and glasswork. Artwork will be on display at Zeda's Village Grill & Bar for the entire month of October and halfway into November. Come mingle with the artists and enjoy some refreshments, live music, and visual art. The Suppertime Band will perform classic rock during the reception. 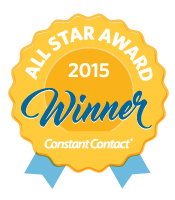 For more information please contact Iphie Burg at iphigenia@comcast.net. For more information contact Joyce Miller, Gallery Director, at j_miller@mwcc.edu. Petersham Art Center is pleased to announce four upcoming classes for the fall season. PAC is a regional center for the arts, working to provide the opportunity for arts education and to display and promote artists' work from all over the Quabbin area. All classes would be perfect for creating unique handmade items, to give as holiday gifts, or for keeping as a family heirloom. On Saturday, October 1, from 9AM-12Noon, Linda Pelletier will present a class on The Artistry of Pressed Flowers. She will teach students the techniques and skills needed to create their own floral treasure. Participants will need to bring a favorite small frame. Saturday, October 15, 9AM-12 Noon, Sue Morello of Sheldon Farm Baskets in Barre will share her knowledge and skill to instruct a class on Making an Apple-Picking Basket. This basket could serve for practical use on a sunny fall day in the orchard or to display as a beautiful heirloom. Sunday, October 16, from 1-3PM, Jen Niles will teach a class on making Playful Pet Portraits. Participants will create a fanciful and fun portrait of their pet, capturing their inner and outer beauty, to keep or to give to a favorite pet lover. Jen asks that participants submit a photo of their pet by October 1st and she will create a template of their pet to use in the class. On Saturday, Oct 29, from 10AM-2PM, Calligraphy 101: The History of Writing will be taught by Ken Levine. Participants will learn the historic past of writing and how to translate common language into a beautiful work of art. Participants are asked to bring a favorite saying to use for their calligraphy creation. 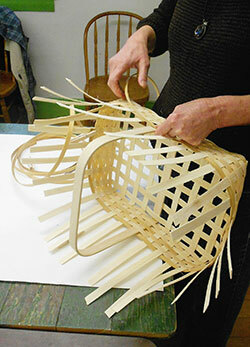 Please call the Petersham Art Center at 978-724-3415 for more information or to register for a class. There is a fee for each class and participants must pre-register. 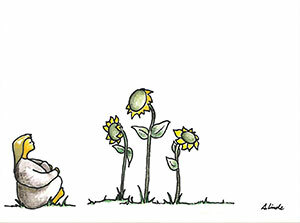 Corinne will be teaching two classes and two weekend workshops at Worcester Art Museum this fall. WAM has a bright, airy printmaking studio and scholarships are available for tuition. Follow the links below to find out more and sign up. Corinne will have some lithographs on display in this show highlighting the work of last year's ArtsWorcester Material Needs grant recipients. Hope to see you on opening night! Opening Reception: Friday Sept. 9, 7 p.m.
Corinne/Cherry Press will have a table at Print Fair North - part of Printworks 2016: a printmaking festival taking place in downtown Northampton on October 2nd. In this four hour workshop, you will explore the soft Pastel medium and its supports for a fresh look to your pastel paintings! We will be utilizing several different substrates and soft pastels for a comparative study on which helps to create the look we desire for our finished product. Participants should bring varied soft pastels, a support board for working on, and vinyl gloves. Some materials will be supplied. Once you register, a materials list will be provided. To enroll and pay online with a credit/debit card or PayPal account, click here. PO Box 664, Gardner, MA 01440, click here. The Jaffrey Civic Center is seeking artwork from the public to be included in our Annual Autumn Art Exhibit. We are looking for all types of media including but not limited to: photographs, paintings, drawings, textiles, glassworks, paperworks, pottery pieces, woodwork and other 3D disciplines. The show will run from Friday, November 18th through December 16th. There will be an Opening Reception, which is free and open to the public on Friday, November 18th from 5-7 pm with great food and drink. The deadline to drop off artwork: Tuesday, November 8th through Saturday, November 12th. Among the other exhibits scheduled for the 2016 calendar year, the Center holds two annual public call-of-entry shows which showcase all the arts: one in the fall and one in the spring. If you have never been to the Center to enjoy a show, please mark your calendar. Entry forms are available on our website at www.jaffreyciviccenter.com or at the center. Please call or email us at if you have any questions. The Friends of the Agawam Public Library are looking for entries for their 8th Open Juried Art Object Show to take place November 1 - 25, 2016. For more information or to have the prospectus-brochure and entry form emailed to you, please contact Bob Kadis at r.kadis@comcast.net or 413-789-4814. The Jaffrey Civic Center is seeking vendors for our Holiday Craft Fair, which will be held on Saturday, December 10th from 9 am to 2 pm. The Fair will be held in our beautiful gallery rooms on the ground floor and second floor. We are seeking handmade items, pottery, art, jewelry, gourmet foods and other items which would make desirable holiday gifts. The fee for space is $25. For more information or to reserve a space, please contact us at info@jaffreyciviccenter.com or call us at 532-6527. 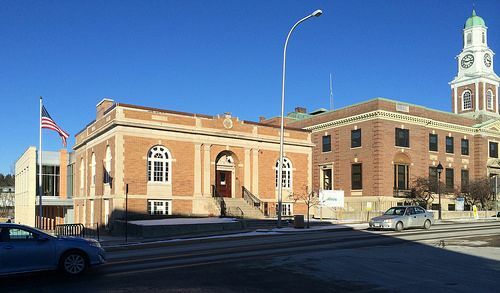 The Jaffrey Civic Center is located in beautiful downtown Jaffrey on Main Street next to the Public Library. Space is limited so please reserve your table early. The Amherst Public Art Commission invites area artists or groups of artists to submit work for consideration for exhibition in the Amherst Town Hall Gallery in 2017-2018. Both established and emerging artists are encouraged to apply. Exhibitions are on display for two months, and artists are asked to participate in the monthly Amherst Arts Night Plus (first Thursday of the month) during their show. Submission requirements: Completed application, artist statement and/or resume, and 5 digital images. A $20 entry fee is payable upon acceptance to exhibit. Applications must be received no later than December 31, 2016. Artists will be notified of the jury's decision by January 31, 2017. To request a paper application or ask additional questions, contact Amy at amy@amyacrawley.com. The following is just a small list of support provided to artists: Organizations Helping Visual Artists, US Government Art Organizations, State Agencies and Art Commissions, Non Governmental Art Organiz ations, Volunteer Lawyers for the Arts, Laws Regarding Visual Arts, Artist Consultants, Grants for Artists & Grant Assistance, Artist Health Insurance, and many other legal support and resources for Massachusetts artists.